* Mechanical compatibility with direct mounting of the SMD products to the LED cooler and thermal performance matching the lumen packages. * For flood light,street light and high bay designs from 2500 to 6100 lumen. * Thermal resistance range Rth 1.06°C/W. * Product size: L92-W90-H50mm- Standard width 90mm , Other widths on request. * Extruded from highly conductive aluminium for optimal thermal performance (AL6063-T5),aluminium 6063-T5 thermal conductivity is higher than ACD12 1.5 times. * Waterproof level designs from IP65 to IP67. 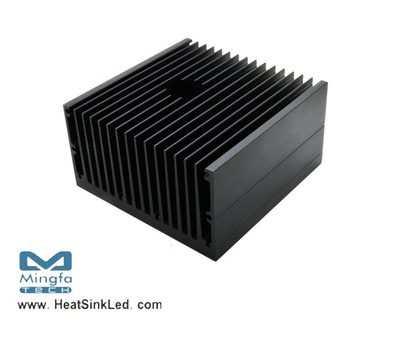 * With the SMD products (3030 , 2835 , 5050……): Bridgelux , Cree , Edison , Citizen , LG Innotek ,Lumileds , Luminus, Lumens , Nichia , Osram , Prolight Opto , Seoul , Samsung , Sharp.